Maxalt Melt 10mg Wafers provide effective relief from migraine attacks. The active ingredient is rizatriptan, which is one of the several types of 'triptan' medicine. 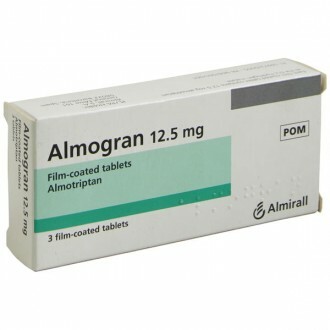 These medicines are all specifically designed to relieve the symptoms associated with migraines. It is not wholly understood what causes the onset of a migraine episode. The associated throbbing sensation is believed to be attributed to the dilation (widening) of blood vessels in the brain. 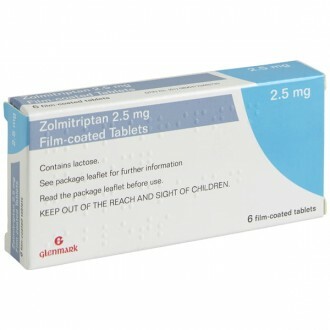 Rizatriptan belongs to a group of medicines known as serotonin (or 5HT) agonists. 5HTs stimulate serotonin receptors in the brain. Through mimicking the activity of serotonin, 5HTs will cause the dilated blood vessels to narrow, which relieves the throbbing pain of a migraine. Rizatriptan works best when taken at the onset of a migraine attack. The treatment usually takes approximately 30 minutes to take effect. However, rizatriptan is not guaranteed to work for everyone – if you find this medicine ineffective, it is worth considering an alternative treatment. Triptans medicines do not prevent migraines, but they are safe to take alongside preventative treatments, such as propranolol. Migraines are a common complaint in The UK. The infliction tends to affect a greater number of women (25%) compared with men (8%). Migraines are thought to be at least partially hereditary, which means you may be more prone to the condition if someone in your close family suffers from the condition. For those unfortunate sufferers who experience severe migraine attacks, these debilitating episodes can completely disrupt their day, potentially causing nausea, intolerance to strong light, noises and smells. Rizatriptan will help to provide relief from these symptoms as well. Approximately one in every four people who suffer from migraines experiences some form of warning sign before an attack. This is known as an aura. An aura may involve visual cues, such as blurred or distorted vision. Rizatriptan will provide relief whether or not the migraine is accompanied by an aura. A silent migraine occurs when the aura happens but a migraine does not follow. Migraine episodes tend to last for a few hours but can, in more severe cases, continue for as long as three days. After a migraine has subsided, you may still feel fatigue for several subsequent days. Migraines can be triggered by a number of factors, including a poor diet, caffeine, alcohol, stress and a lack of sleep. Some women regularly suffer from migraine attacks during their monthly period. Maxalt Wafers are most effective if taken at the start of a migraine attack, but will also provide relief if taken later on during the episode. You do not need water to take this medicine. Place one wafer on your tongue and allow it to dissolve completely. If the medicine is ineffective, wait at least two hours before taking the second dose. Do not exceed three wafers (30mg) within a 24-hour period. I used to be prescribed Maxalt Wafers but have now been given Rizatriptan. Is there a difference between the two? Rizatriptan is the active ingredient in Maxalt Wafers. 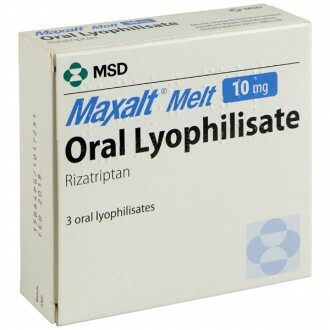 The patent on the Maxalt brand has expired in recent years, meaning generic versions of the brand can now be produced. When a medicine is first launched onto the market, the manufacturer who produced it is awarded a license or patent. This patent means that only that manufacturer is allowed to produce that medicine. However, when the patent expires, other manufacturers can begin producing the same treatment. This typically leads to a dramatic drop in price, which arises from the increased competition. These generic treatments are still produced by licensed manufacturers and must conform to the same strict manufacturing standards that the branded medicines meet. What do Maxalt Wafers contain? There is 10mg of the active ingredient Rizatriptan in each wafer. There are also several inactive ingredients: those which make up the body of the wafer and agents used in the manufacturing process. For more details, please see the 'Ingredients' tab above. Experts still do not fully understand what causes the onset of a migraine. However, the associated throbbing pain is thought to be due to the widening of the blood vessels in the brain. Rizatriptan is a serotonin (or 5HT) agonist, meaning it stimulates the brain's serotonin receptors. This action has the effect of causing the affected blood vessels to narrow, which relieves the throbbing and the associated pain. How do I take Maxalt Wafers? 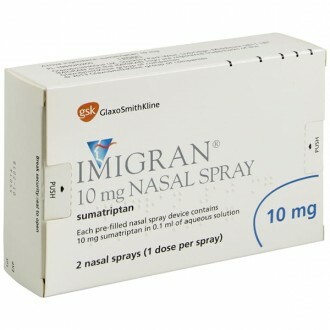 Rizatriptan is most effective if taken at the start of a migraine attack. However, it will still provide relief if taken later on during an episode. You do not need water to take this medicine. Place one wafer on your tongue and allow it to dissolve completely. If the medicine is ineffective, wait at least two hours before taking the second dose. Do not exceed three wafers (30mg) within a 24-hour period. Is it safe to use other Migraine treatments alongside Rizatriptan? It is safe to use painkillers, such as aspirin, paracetamol or ibuprofen. 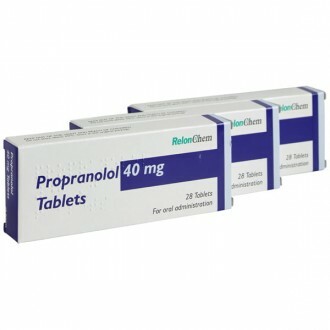 If necessary you can also use anti-nausea treatments, such as Prochlorperazine Buccal Tablets. 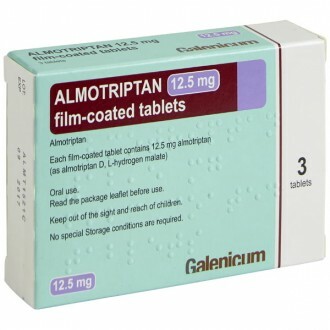 However, do not use two or more triptan medicines at the same time. All triptans have similar effects, taking two or more simultaneously will not provide any additional benefit. Instead, it will likely result in you exceeding safe dosages, which will put you at increased risk of experiencing adverse side effects. How many packs of Maxalt Wafers can I buy in one purchase? Maxalt Wafers are a prescription-only migraine treatment. For this reason, and to ensure patient safety, our pharmacy can only supply a maximum of 3 packets of treatment at any one time. Should I take Maxalt Wafers with food? Maxalt Wafers can be taken with or without food. 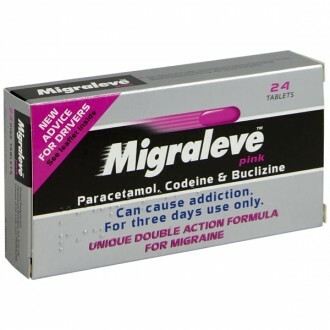 It is much more important that they are taken as soon as possible after a migraine attack begins. Is Rizatriptan affected by alcohol, antibiotics or the contraceptive pill? None of the above should have any effect on Rizatriptan. However, alcohol can make a migraine worse, so it is advised you avoid it. Although Rizatriptan is not affected by the contraceptive pill, migraines can be linked to hormonal changes that occur during a woman's monthly period. Are Maxalt Wafers available for next-day delivery? Yes – we understand that sometimes you will want your treatment as soon as possible. If ordered before 4pm Monday to Friday, Maxalt Wafers are available for next day delivery. Is it safe to buy generic Rizatriptan online? Yes – as long as you are buying from a website that is a legally operating and regulated pharmacy, it is perfectly safe to buy Rizatriptan online. The Independent Pharmacy is an NHS Online Pharmacy based in Bristol and has all the necessary regulation to be able to safely provide convenient access to genuine prescription treatments through our Online Pharmacy. How do I buy Maxalt Wafers online? You will need to fill in a simple health questionnaire so that our GPs and Pharmacists can ensure it is safe for us to supply your Maxalt Wafers to you. It only takes a few minutes, and your treatment can be delivered to your door as soon as the next working day. What are the advantages of buying Maxalt Wafers online? A wealth of information - we provide all the information you could need on Rizatriptan and other migraine treatments, in easy to digest formats, at a time that suits you. Does Rizatriptan help to prevent Migraines? 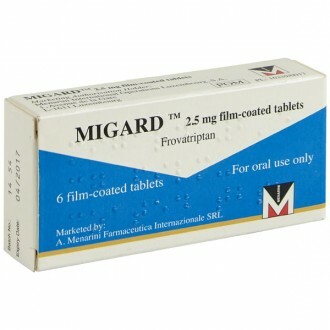 Rizatriptan and other triptans are used to treat acute attacks of a migraine. They work by reversing the widened blood vessels in the brain that cause migraines. For this reason, they should only be used to treat existing, or oncoming, migraines; not to prevent them. Maxalt Wafers will not be effective in preventing migraines that have not yet occurred. They may even contribute to making your headaches/migraines worse due to overuse if they are used as a preventative treatment. Although it helps to relieve migraines, Rizatriptan is not a painkiller. 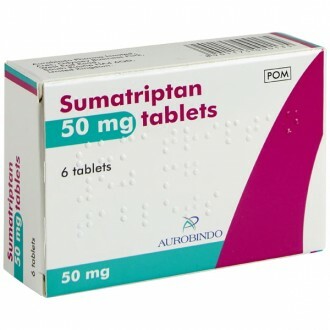 All triptan medicines are serotonin (5HT) agonists. The pain relief is a secondary effect. Rizatriptan can be used alongside traditional painkillers such as paracetamol and ibuprofen if extra pain relief is necessary whilst the wafer is taking effect. Will Maxalt Wafers definitely cure my Migraines? 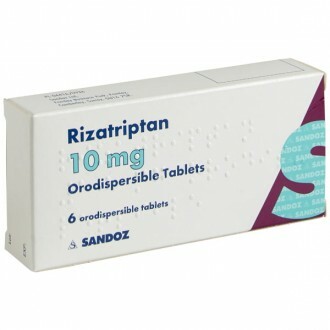 Rizatriptan is an effective migraine treatment for migraine sufferers. Some people may find that Maxalt Wafers are only mildly effective, or even ineffective. If this is the case, there is no need to worry - rizatriptan is not effective for everyone. If you have tried it a number of times without getting the desired results, you can try a different migraine treatment. Triptan migraine treatments all have the same mechanism-of-action. However, individuals can respond to each one differently. If one treatment, such as Rizatriptan, has not had proved ineffective, it is advised to try a different treatment to see whether it works better for you. I normally get Maxalt Wafers from my doctor - why should I buy them online? Maxalt Wafers are available on the NHS from your GP if you have been diagnosed with migraines. This is normally where we suggest people start their treatment, to ensure that their condition is properly diagnosed and any possible serious symptoms are addressed. Here at The Independent Pharmacy, we take the headache out of getting migraine treatment.